Tyler is too busy mourning the loss of his fiancée to take much notice of anyone else. When Antoinette shows up at his family's hotel looking to marry him, he couldn't be more surprised. Will Antoinette's quiet resolve and dignified attitude finally win him over and heal his grief? Tillie Montero doesn't want spinsterhood. In fact, she used to be happily married...or so she thought. Now divorced because her ex-husband couldn't abide the thought of a barren wife, she's resigned herself to a quiet existence. 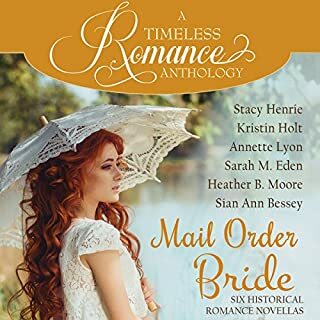 It isn't until she sees an ad for a mail-order bride that she begins dreaming of starting a new life again. 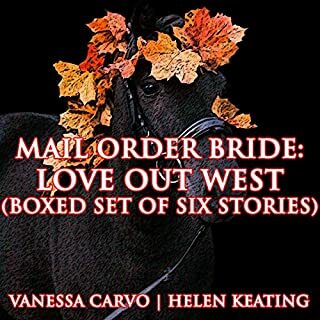 In this six-story Christian western romance and mail order bride audiobook collection, you will find a variety of characters who find their soon-to-be significant other in a variety of ways, but always with the involvement of our Lord, Jesus Christ. Please enjoy this labor of love! 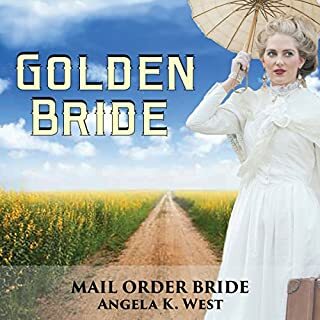 Weary of the burden of caring for her younger siblings, and eager for a new life, Abby Sanders accepts an offer to travel west as a Mail Order Bride. She dreams of a quiet, peaceful life away from the noise and chaos of her family, a place where she can follow her own thoughts at her own pace. So when John Clinton, her husband to be, meets her at the station with a small child in tow, she's ready to back right out of their deal. She didn't expect this ready-made family, but she finds herself growing to care for them, despite her misgivings. Kristine is the eldest of three sisters, and she would do anything to keep them safe, but could she do this? Their mother died many years ago which turned their father to drink and gambling. Now their fortune is gone and soon her sisters must leave their finishing school. What will happen to them? Where will they live? What will they eat? Will they be thrown onto the streets? 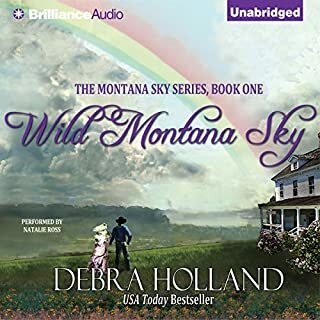 When Sibyl accepted Adam's proposal to join him in the Wyoming Territory, she hadn't expected it would be so quiet and so remote. When the coyotes and the wolves howl at night, and especially when the catamounts scream, Sibyl wants nothing more than to return home to her cantankerous father in New York City. And then there's Adam. He only has a single bedroom, with a big bed for them to share. But they aren't even married yet! Sibyl makes him sleep out in the barn, and almost a week after her arrival, it doesn't seem they're making any progress. 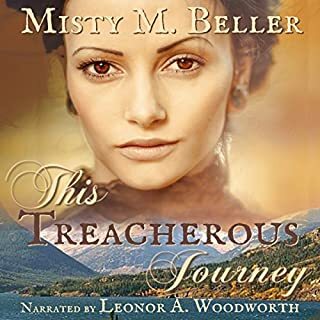 When something terrible happens out on his cattle drive, though, Sibyl needs to make a decision: stay here for the man who wants to claim her as her own, or hightail it back to New York? Can love factor into that decision, or is she too afraid to feel anything? I usually prefer long, detailed books but was given the opportunity to listen to this quick book and I'm glad I did. This wholesome endearing story is under an hour long so it's the perfect length while driving or going for a walk. It is written and narrated very well and t's Clean, so you don't need to worry if anyone else listens in. If you are looking for a clean listen give this one a try.......for under 4 bucks you cant go wrong. the story is okay. A bit lame but okay. The narrator was awful. Her voice is squeaky and annoying. Her attempt at a males voice is pathetic and really bad. 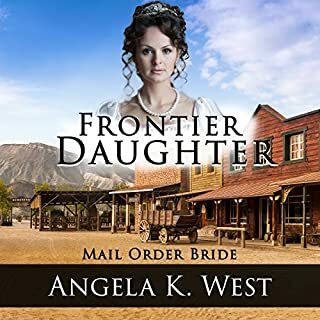 What made the experience of listening to Mail Order Bride: Frontier Sister the most enjoyable? First off it is a short story that I can listen to on my way home from work. sybal of course. Anyone who is willing to marry a stranger 2000 miles from her family is braver than me. Lucky her sister lives near by. What about Brooke Taylor’s performance did you like? Fantastic pairing of reader and story. This is the perfect length for a walk and sweet entertainment. Sibyl is off to Wyoming to meet her sister's brother-in-law, Adam. Her sister Fanny had been a mail-order bride and fell completely in love with ranch living and her new husband Ben. Sibyl was not so sure this was going to be the case for Adam and herself. After several days of bickering, Adam is off to a cattle drive and Sibyl has some time to adjust to her new life, still unsure of whether Adam is the man for her. Unfortunately, Adam is rushed home with a severely broken leg, and now Sibyl has to make some decisions. Should she stay and take care of him? Should she marry him? Should she go back to New York? You will have to give this a listen to find out! Brooke Taylor has a sweet voice to give us a good midwestern performance. Each character is easily discernable and it is very easy on the ears. Would you try another book from Angela K. West and/or Brooke Taylor? Would you recommend Mail Order Bride: Frontier Sister to your friends? Why or why not? yes good clean book that was nice to listen to. I like to listen in the car and it was perfect for that. What three words best describe Brooke Taylor’s voice? 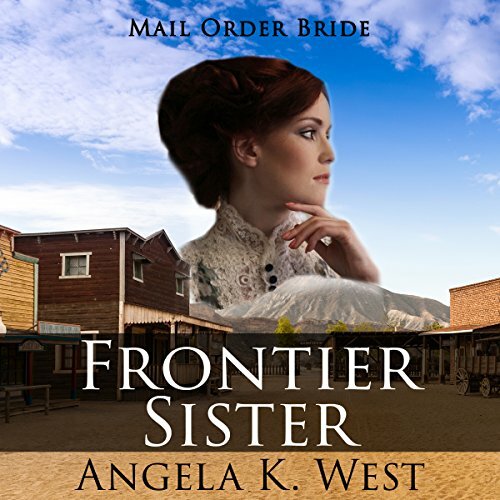 Do you think Mail Order Bride: Frontier Sister needs a follow-up book? Why or why not? Yes for sure. The end of the story kinda left you hanging. I want to know what happens next?